It’s that time of year again when the UK suffers its annual dusting of snow and everything comes to a grinding halt. 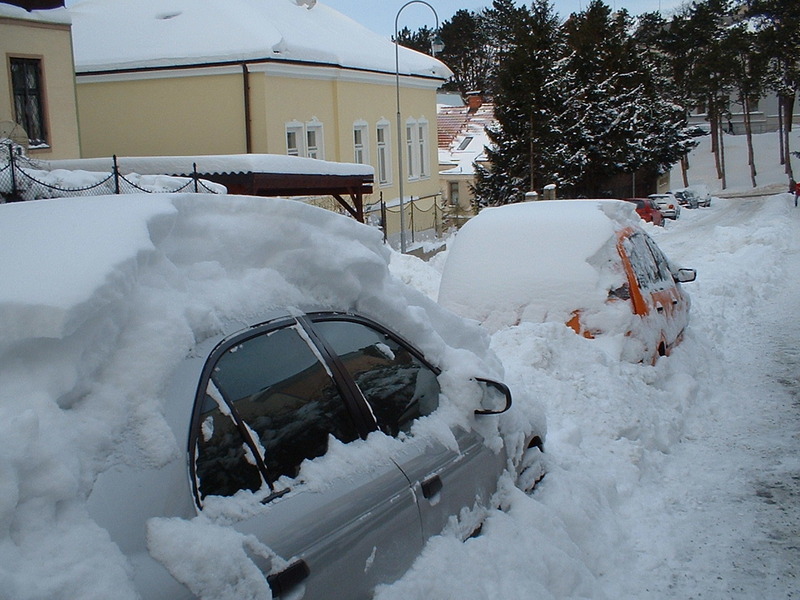 When this yearly occurrence happens, my thoughts always turn to the year I spent living in Vienna – an academic year, to be precise, the year of 2004 – 2005, which happened to be one of the worst winters on Austrian record. Snow covered every bough and rooftop as far as the eye could see, and the city was bathed in a brilliant white. Now that was really what you call snow! Easter Market (yes Easter Market!)! Coming from the scarcely-touched-by-snow UK, I’d never seen snow like it, and it now forms one of the overriding memories of my year abroad. But it isn’t necessarily a negative memory. 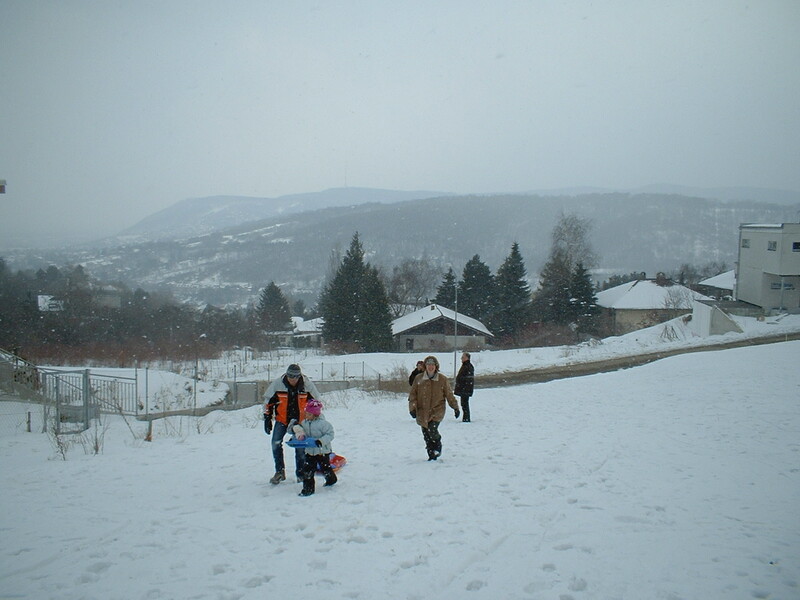 The snow started on the 20thNovember 2004. I was woefully underdressed for the occasion in a skirt, tights and ballet pumps; I soon learnt that for the next 5 months, the only form of footwear I would be wearing would be my snow boots. It didn’t stop snowing until the end of March – I can remember going to the Easter Markets and being surrounded by beautiful coloured eggs, wicker baskets and clumps of snow. 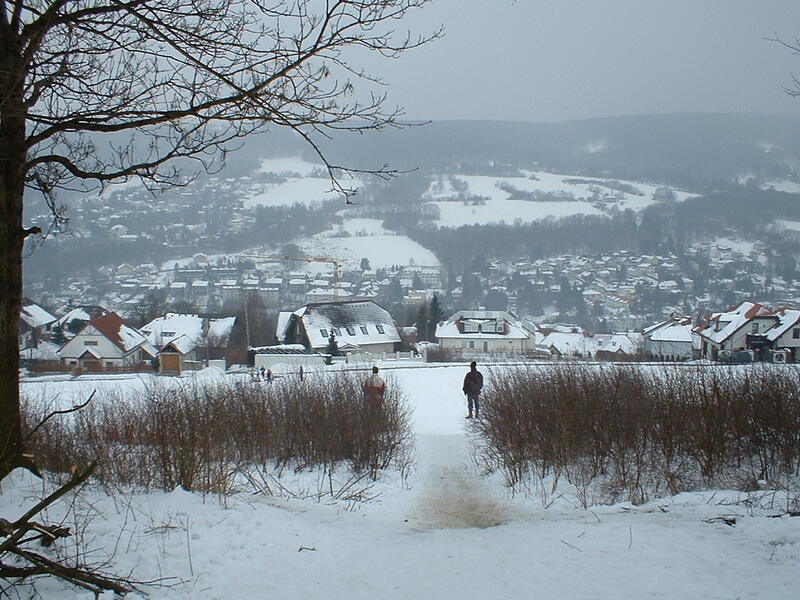 What was so different to the UK, however, was the fact that the snow was no big deal: trains still ran on time, schools and businesses were still open, and my commute was barely affected, even if I did have to go and borrow an umbrella from the Hotel Schrannenhof in the market place of Klosterneuburg one morning, en route to work. 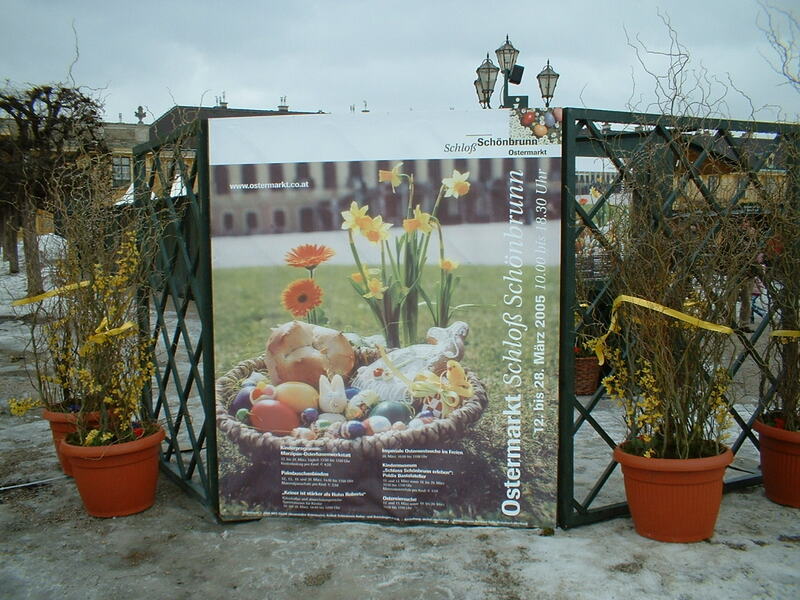 The Schönbrunn Easter Market sign, with snow underfoot! The no. 2 tram – still running despite the snow! And so as the snow descended on the city, and being woken up by the snow plough became a regular occurrence (so much so that I became convinced that the “Secret Sound” competition on the local radio station was someone shovelling snow – it turns out that the sound of someone moving a computer mouse over a mouse mat is surprisingly similar), a beauty took over what was already a stunning place to live. 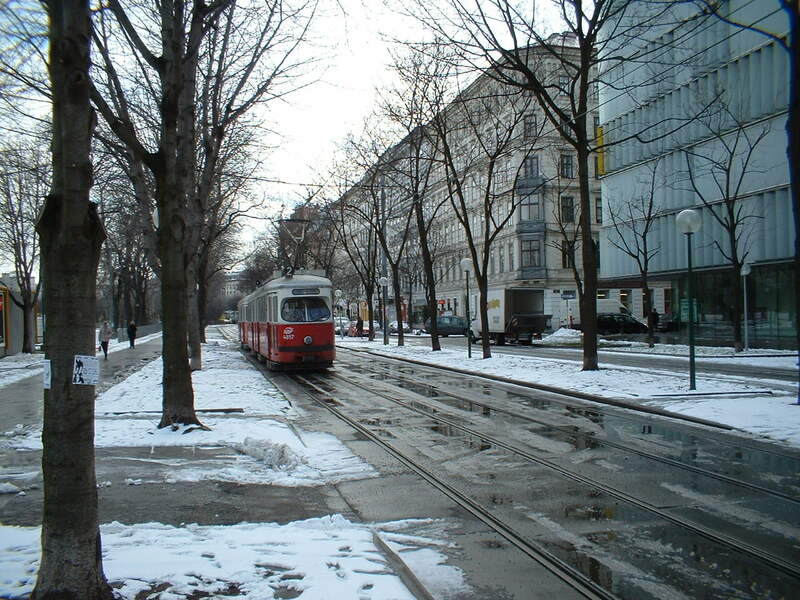 Vivid memories of cars piled high with snow, sledging at a friend’s house in Klosterneuburg, shopping in festively white Christmas markets and a beautifully snowy trip to Salzburg are all highlights of my year abroad, and the beautiful scene through a tram window of tree boughs heavy with snow in Stadtpark will stay with me forever. Snow might not excite me anymore, but it does fill me with a sense of wonder, and of memories of a beautiful white city which doesn’t stand still for snow. 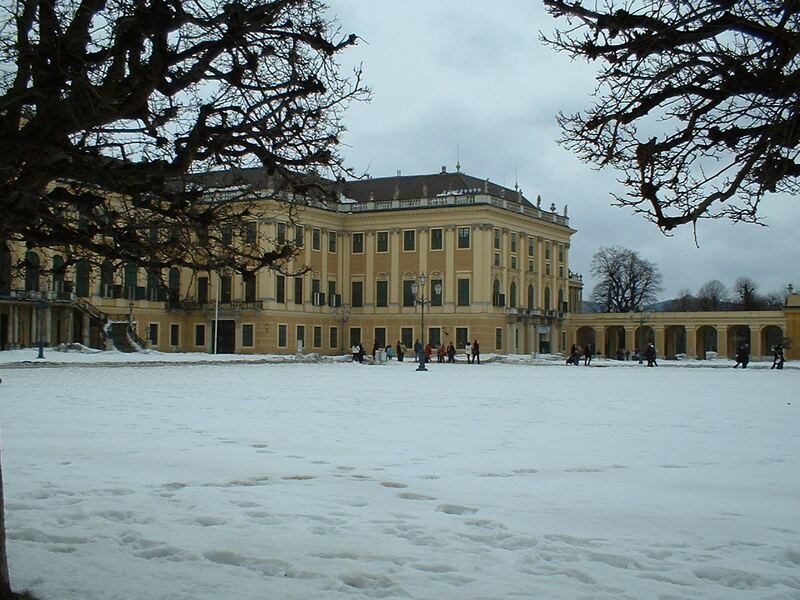 This entry was posted in Christmas and tagged Austria, City Break, City Breaks, Snow, Snow Scene, Vienna, Weather, Winter. Bookmark the permalink.